- IM, audio, and video sessions can be made from within a Freshservice ticket, providing instant remote support if the requester’s mobile number is visible. Enabling Skype for your Freshservice is a fairly simple process. 1.Head over to the Admin tab in your Freshservice dashboard. 2.Under the Helpdesk Productivity tab, click on the “Apps” icon and goto the “Get more Apps”. 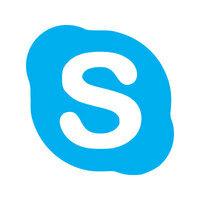 3.When you find Skype, simply click on the icon and hit install. 4.Skype will be enabled for your service desk now.